The challenge with the transgender debate is that Christians must say two very different things at the same time. This is absurd. Patently absurd. There is no scientific reason, no justice reason, no internally consistent reason to think we can be boys or girls just by declaring it so. In our saner moments we know this to be true. No one would allow me to “become” Asian or African American even if I thought that’s who I was deep down. There are facts about my biology that cannot be denied. 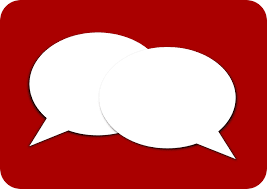 Why is gender open to self-definition while race and ethnicity are not? As many others have pointed out, the logic of our transgender moment simply does not hold together. Are male and female distinct categories so that we should we be pushing “equal work for equal pay” and celebrating every “first woman to do X” achievement? Or are the categories completely malleable so that even the talk of binary gender norms is offensive? Two nights ago I watched a few minutes of the Oscars and then flipped to watch some of the SEC Indoor Track and Field Championships on ESPN. It struck me that many of the people attending the Oscars and many of the universities represented on the track would fully applaud the transgender agenda. And yet, here they are with their antiquated categories of Best Supporting Actor and Best Supporting Actress and their old-fashioned ideas of men and women running the mile in totally separate races. I live in East Lansing, Michigan. I love my city. It’s a great place to live. It’s also a university town that tries to be at the cutting edge of progressive cultural trends. Which is why the local school board has pushed for students to be able to use the bathroom of the gender they identify with. At the same time, when I go to the community center—operated by the city of East Lansing—there is a sign on the men’s locker room stating clearly that girls should not be brought into the locker room (but can accompany their parents in the family bathroom). So does biology matter or not? Is it a matter of safety to keep boys and girls separate, or is it matter of safe space to let boys use the girls facilities if they think they are girls? The idea that the whole world must accommodate my declared sense of self is soul-destroying, culture-poisoning folly and deserves to be treated as such. That’s what’s must be said about the arguments and the agenda. But that’s not all that must be said. There are people—men and women made in God’s image—who feel all sorts of confusion about who they are and what they want to be. This happens. All the time. Not necessarily with gender, but human identity. We all struggle to figure out who we are, especially in our growing-up years. Sometimes that means we don’t know how to makes sense of our own bodies and our own sexuality. We don’t want anyone to feel unsafe in a bathroom. So let’s figure out how to have more unisex single stalls. Let’s provide well-trained, warmhearted counselors. Let’s make sure kids are not made fun of for being tomboys or for being sensitive or for being immigrants or for being Muslim or for being Christian or for being whatever. And let’s make sure we aren’t constantly in full-on culture warrior mode. We should empathize with those who genuinely feel threatened, scared, or all alone. Standing up for the truth doesn’t mean we have to say everything we think in every situation. It’s okay to be tactful, respectful, and even keep our mouths shut at times. Charging ahead with zeal is not an excuse for trampling over people. Kevin DeYoung is senior pastor of University Reformed Church (PCA) in East Lansing, Michigan, near Michigan State University. He and his wife Trisha have seven young children. You can follow him on Twitter. So we are ambassadors for Christ, since God is making his appeal through us; we entreat you on behalf of Christ, be reconciled to God. For our sake he made him to be sin who knew no sin, so that in him we might become the righteousness of God. As we work together with him, we urge you also not to accept the grace of God in vain. For he says, "At an acceptable time I have listened to you, and on a day of salvation I have helped you." See, now is the acceptable time; see, now is the day of salvation! We are putting no obstacle in anyone's way, so that no fault may be found with our ministry, but as servants of God we have commended ourselves in every way: through great endurance, in afflictions, hardships, calamities, beatings, imprisonments, riots, labors, sleepless nights, hunger; by purity, knowledge, patience, kindness, holiness of spirit, genuine love, truthful speech, and the power of God; with the weapons of righteousness for the right hand and for the left; in honor and dishonor, in ill repute and good repute. We are treated as impostors, and yet are true; as unknown, and yet are well known; as dying, and see-- we are alive; as punished, and yet not killed; as sorrowful, yet always rejoicing; as poor, yet making many rich; as having nothing, and yet possessing everything. "Beware of practicing your piety before others in order to be seen by them; for then you have no reward from your Father in heaven. "So whenever you give alms, do not sound a trumpet before you, as the hypocrites do in the synagogues and in the streets, so that they may be praised by others. Truly I tell you, they have received their reward. But when you give alms, do not let your left hand know what your right hand is doing, so that your alms may be done in secret; and your Father who sees in secret will reward you. "And whenever you pray, do not be like the hypocrites; for they love to stand and pray in the synagogues and at the street corners, so that they may be seen by others. Truly I tell you, they have received their reward. But whenever you pray, go into your room and shut the door and pray to your Father who is in secret; and your Father who sees in secret will reward you. "And whenever you fast, do not look dismal, like the hypocrites, for they disfigure their faces so as to show others that they are fasting. Truly I tell you, they have received their reward. 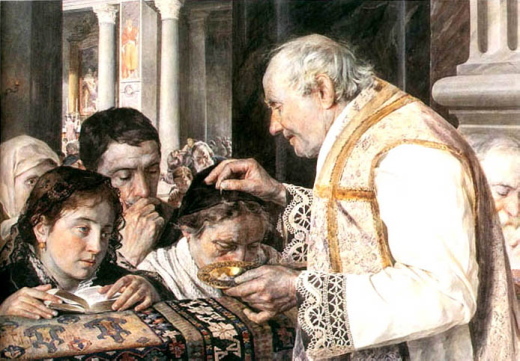 But when you fast, put oil on your head and wash your face, so that your fasting may be seen not by others but by your Father who is in secret; and your Father who sees in secret will reward you. "Do not store up for yourselves treasures on earth, where moth and rust consume and where thieves break in and steal; but store up for yourselves treasures in heaven, where neither moth nor rust consumes and where thieves do not break in and steal. For where your treasure is, there your heart will be also. Psalm 73:25-26 (NIV) Whom have I in heaven but you? And earth has nothing I desire besides you. My flesh and my heart may fail, but God is the strength of my heart and my portion forever. Morning Devotions with Cap'n Kenny - "How Sin Affects Your Prayer Life"
Habitual sin in the life of a Christian can bring his or her prayer life to a screeching halt. That is not to say we have to be sinless to pray. If that were the case, none of us could ever approach God. The Bible even says, “If we say that we have no sin, we deceive ourselves, and the truth is not in us” (1 John 1:8). It also tells us that when we sin, we have an Advocate with the Father, Jesus Christ the righteous (see 1 John 2:1). The Bible makes allowances for sin in our lives and offers God’s mercy and forgiveness to us, but unconfessed sin certainly can hinder our prayers. The psalmist said, “If I regard iniquity in my heart, the Lord will not hear” (66:18). Another way to translate the word regard would be “hold on to.” In other words, if we cling to iniquity in our hearts, the Lord will not hear us. There is a difference between sin and willful sin. There is a difference between stumbling, being sorry for it, and turning from it, and continually, willfully, and habitually sinning. If you are sensing God’s conviction and know what you’re doing isn’t right, that is God’s Holy Spirit lovingly trying to wake you up and warn you of the perilous path you have put yourself on. Hebrews 12:6 says, “Whom the Lord loves He chastens.” To loosely paraphrase, “Whom God really loves, He spanks.” Because He cares about you, He applies the “board of education” to your “seat of understanding.” Some of us need a trip behind God’s woodshed. When that happens, don’t recoil and complain that it’s unfair. Instead, rejoice that God loves you enough to deal with you as a father deals with his son or daughter. Scripture taken from the New King James Version®, NKJV® Copyright © 1982 by Thomas Nelson. Used by permission. All rights reserved. 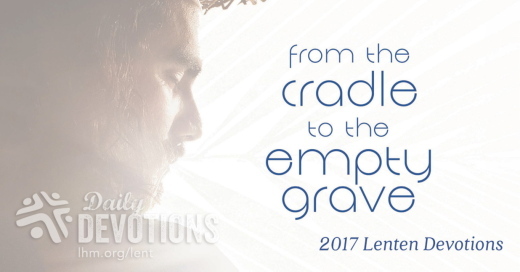 Devotion by Greg Laurie © 2016 Harvest Christian Fellowship; all rights reserved. El Señor omnipotente enjugará las lágrimas de todo rostro, y quitará de toda la tierra el oprobio de su pueblo. El Señor mismo lo ha dicho. A pesar de lo que hacemos en nuestra manera de vivir, vemos la mano de Dios. Naigir, un hombre de bien y buena familia, es otro amigo que tuve la oportunidad de conocer. Un día, por ambición, acepta hacer uno de esos trabajitos por dinero. Sin pensarlo dos veces, se lanza y lo sorprenden. Lo que una vez le dijera un aparente amigo: «Tranquilo, todo está fríamente calculado», se convirtió en la pesadilla de su vida. Cae preso y sin ningún familiar en Estados Unidos. Lo que era una gran ambición quizá por ganarse unos cuantos verdes, se volvió en la más horrible de las tragedias. Al igual que Víctor, conoce de Dios en ese lugar y empieza el cambio en su vida. Su testimonio llega a mis manos con una desgarradora carta, donde me pide que llame a su hijita por la radio el día del cumpleaños. Además, me pide que no le dijera a su hija dónde estaba. Llegó el día e hicimos la llamada en mi programa radial «Buenos Días Familia». Cuando esa nena de solo ocho años de edad pasa al teléfono, escucha que es una sorpresa de su papá que dejó de ver de un día para otro hace cuatro años. Entonces se quebrantó y lloró de tal manera que todos en cabina quedamos en silencio. ¿Por qué llegar hasta el extremo de Naigir? Porque no nos conformamos con creerle a Dios. Dejemos que sea Dios el que nos provea todo lo que necesitamos. No vale la pena poner en riesgo nuestros hijos y nuestra felicidad. Recordemos que aunque Dios nos perdona, todo lo que hacemos mal tiene sus consecuencias. RESPONSE: I am too blessed to be stressed! PRAYER: Thank You, Lord, for the encouragement I receive from following Your ways. From the time I was a young girl I wanted to be beautiful. In the fifth grade, I resorted to desperate measures in a very “eleven-year-old, clueless-adolescent” kind of way. I distinctly remember some bright blue eye shadow being involved. I can even picture in my mind what said unauthorized makeup looked like in its case – like a pallet that would normally hold watercolor paint. Five fabulous, or not so fabulous, color options ranging from pale green to bright blue were available to this pre-adolescent. Keep in mind, we are talking about the early eighties here. Blue eye shadow was all the rage and a very accepted beauty solution. It was everywhere! On magazine covers, commercials, and on every older woman at church. I think even Marsha Brady was wearing it on TV. Trust me, back then most of the girls my age took beauty cues from Marsha Brady. I rode the bus to elementary school, which gave me a brief, unsupervised window of opportunity in the mornings to misbehave and sneak around between exiting the big yellow taxi and entering the classroom. My neighbors Brenda and Sally sometimes adventured with me to the West Hempfield Elementary School beauty salon: the girls’ bathroom. As long as we made it to our classrooms before the bell rang, we were golden. Enter the blue eye shadow. I’m not sure where my eye shadow kit came from. It could’ve been a hand-me-down from an aunt or a family friend. It could have been a garage sale find. I don’t remember. I am certain, however, that at that point in my life, eye shadow was supposed to be for play, not for school. Not being one to get tripped up over details, I ran to the girls’ room and generously smudged the bright blue cream on my eyelids. Then, feeling I had reached a higher level of beauty, I proceeded to Miss Lewis’s boring fifth grade class. As I remember it, several days of eye-colored bliss passed. In my mind, I was cool and hip. Then she sent me back to my seat. The truth of the matter is I just wanted to feel beautiful. I thought that if I were beautiful, people would like me better. They would accept me more. I cared about what other people thought about me. I wanted to measure up. To some degree, I still do. We all want to be beautiful people. And that’s okay! It’s fine to want be beautiful. To take care of yourself. To gloss your lips and throw Spanks on your hips. But we need to be cautious of blurring the lines between physical beauty, spiritual beauty, and personal worth. Join me in chasing His beauty today. Dear God, You are the true source of all that is good and lovely! Help me to quit chasing the attention and approval of others and instead pursue the deep beauty found in Your presence and Your promises. Pray and ask God to make His beauty known to you. Pray that He will open your eyes to see beauty as He sees beauty. Write in your journal about what God is teaching you. GIVEAWAY: CLICK HERE to take this conversation deeper in the comments section of my blog. 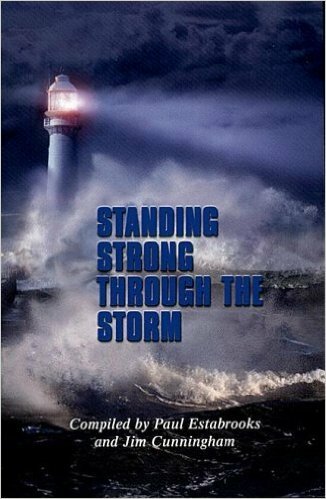 Today I am giving away 3 FREE digital copies of the My Strength My Song CD to random blog commenters. 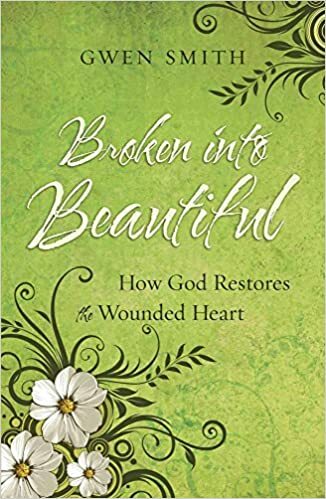 Portions of today’s devotion are excerpts from Gwen’s book, Broken Into Beautiful, which features her testimony, along with Scriptural truths and stories of how God brings restoration to the hearts of those wounded by painful life experiences. Explore God’s healing and hope for your life today as you read Broken Into Beautiful. 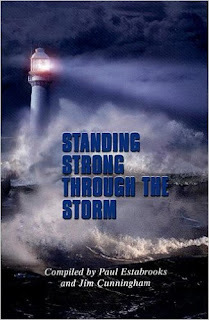 To order the book, go to Amazon, your favorite Christian bookstore, or for a signed copy, order from Gwen’s web store. 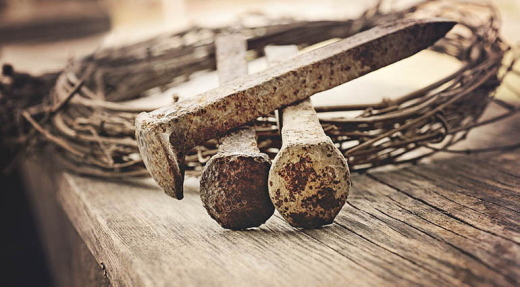 LHM Daily Devotion - "Where Can He Be?" ... the Boy Jesus stayed behind in Jerusalem. His parents did not know it (Luke 2:43b). If you were a 12-year-old, left alone in a huge capital city, where would you go? Mary and Joseph spent three frantic days trying to answer that question, as they searched for 12- year-old Jesus. Would they find Him roaming though the market place, staring up at one of Herod the Great's three spectacular towers, or would He be gazing at his opulent palace in the north end of town? Was He watching the Roman soldiers practicing their military formations and running their drills in the Antonia Fortress? Would He be cheering along with the chariot races in the Jerusalem hippodrome-that same horse track featured in the movie Ben Hur? The truth is none of these places held the biggest attraction for Jesus. He was in the last place most of us would ever expect a pre-teen to be. On the third day they found Him in the temple courts, asking questions of the religious leaders. His greatest thrill was to be at His Father's house fulfilling His great mission. When His mother asked why He had treated them that way, Jesus' answer confused both Mary and Joseph, "Did you not know that I must be in My Father's house?" Jesus had important work to do, and He knew it. Everything was riding on it: His great mission and our eternal future. To open heaven to us He had to live a perfect life, with absolute obedience and perfection. 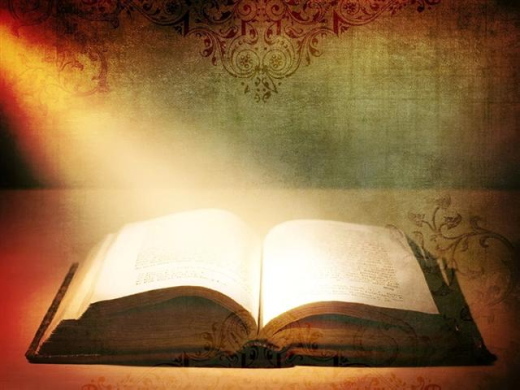 He had to learn, understand and memorize God's Word; He had to know it inside and out. He was a single-minded Savior on a single-minded mission. THE PRAYER: Lord Jesus, thank You for Your single-minded dedication to our salvation. Give me a similar hunger for Your Word too. Amen. La frase del profeta Joel me hace pensar en algunos políticos que toman resoluciones que van abiertamente en contra de la fe cristiana: la legalización del aborto y del matrimonio homosexual, la tenencia y el uso de drogas ilegales, etc. ¡Como si nunca fuéramos a ser juzgados! Muchas personas viven así porque piensan que nunca nadie los va a juzgar. Muchos juegan con la impunidad de una sociedad corrupta y creen que pueden hacer lo que quieren sin tener que rendirle cuentas a nadie. Y ahora ya no estoy pensando sólo en algunos políticos, sino en todos nosotros; porque aun los cristianos abusamos de la libertad que Cristo nos consiguió. Es tiempo que reconsideremos la afirmación del profeta Joel: un día nos llegará el juicio final. Ese día, todas nuestras obras, nuestras palabras y nuestros pensamientos pasarán por el fuego de Dios. ¿Qué quedará? Si no fuera por Cristo, no quedaría nada. Pero gracias a él, que con su sangre purificó nuestros corazones, podemos enfrentar sin miedo el día del juicio final. Para quienes vivimos en Cristo, la afirmación: "El Señor viene", nos produce alegría. El saber que el Señor vendrá a mí me produce una ansiedad sana, porque mi casa está limpia. Y no porque yo la haya limpiado, sino porque el perdón de Jesús fue suficiente para dejar toda mi vida limpia y en orden para que, cuando él venga a buscarme, el encuentro sea de alegría. El anuncio de Joel me anima a no abusarme de la gracia con que Dios me trata, sino a honrarla con una vida de consagración a los valores cristianos, para que el nombre de Dios sea glorificado. Gracias, Padre, porque por la obediencia perfecta de tu Hijo Jesús nos preparas para cuando regreses a juzgar a los vivos y a los muertos. Amén. 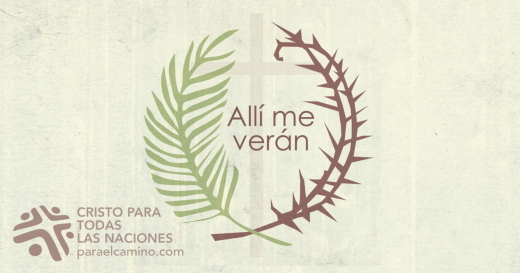 © Copyright 2017 Cristo Para Todas Las Naciones.Reina Valera Contemporánea (RVC) Copyright © 2009, 2011 by Sociedades Bíblicas Unidas. Young Isaac Watts found the music in his church sadly lacking, and his father challenged him to create something better. Isaac did. His hymn “When I Survey the Wondrous Cross” has been called the greatest in the English language and has been translated into many other languages. Watts’s worshipful third verse ushers us into the presence of Christ at the crucifixion. The crucifixion Watts describes so elegantly stands as history’s most awful moment. We do well to pause and stand with those around the cross. The Son of God strains for breath, held by crude spikes driven through His flesh. After tortured hours, a supernatural darkness descends. Finally, mercifully, the Lord of the universe dismisses His anguished spirit. An earthquake rattles the landscape. Back in the city the thick temple curtain rips in half. Graves open, and dead bodies resurrect, walking about the city (Matt. 27:51–53). These events compel the centurion who crucified Jesus to say, “Surely he was the Son of God!” (v. 54). It is our privilege to give everything we have to the One who gave us everything on the cross. Thời trẻ, Isaac Watts nhận thấy âm nhạc trong hội thánh của ông thật thiếu thốn, và bố ông đã thách thức ông sáng tác những tác phẩm hay hơn. Bài thánh ca “Giờ Được Chiêm Ngưỡng Thập Giá” của ông được gọi là bài thánh ca xuất sắc nhất trong Anh ngữ và được dịch sang nhiều ngôn ngữ khác. Câu thứ 3 trong bài Thánh ca đưa chúng ta vào sự hiện diện của Đấng Christ khi chịu thập hình. Nhìn đầu, tay, chân Chúa quá đau đớn! Có thấy mão miện bằng gai khác đời? Thập hình mà Watts mô tả thật tinh tế là thời khắc khủng khiếp nhất trong lịch sử. Chúng ta như dừng lại và cùng đứng chung với mọi người bên cây thập tự. Con Đức Chúa Trời gắng từng hơi thở, thân thể bị giữ chặt bởi những chiếc đinh thô nhám xuyên qua thân thể Ngài. Sau nhiều giờ đau đớn, sự tối tăm bao trùm khắp đất. Cuối cùng, Chúa hoàn vũ đã trút linh hồn thống khổ của mình. Trận động đất làm chấn động khắp xứ. Bức màn dày trong đền thờ bị xé ra làm hai. Mồ mả mở ra và các thây người chết sống lại, đi vào thành (Mat. 27:51-53). Những sự kiện này khiến viên đội trưởng là người đóng đinh Chúa Jêsus phải thốt lên: “Thật, Người nầy là Con Đức Chúa Trời” (c.54). Nguyền Jêsus giúp tôi chẳng khoe khoang, duy khoe ơn Chúa bỏ mình vì tôi. Mọi vật hư ảo xưa mãi mê man, nay đem dâng nơi thập tự giá này. Chúng ta được ban đặc ân để dâng mọi điều mình có cho Đấng đã ban mọi điều cho chúng ta trên thập tự giá. … que presentéis vuestros cuerpos en sacrificio vivo, santo, agradable a Dios, que es vuestro culto racional (Romanos 12:1). Al joven Isaac Watts no lo satisfacía la música de la iglesia; entonces, su padre lo desafió a escribir algo. Y lo hizo. Su himno La cruz sangrienta al contemplar es unos de los himnos evangélicos más conocidos, traducido a muchos idiomas. La crucifixión que describe Watts de forma tan poética refleja el momento más terrible de la historia. El Hijo de Dios se esfuerza por respirar, sostenido por agudos clavos que le atraviesan la carne. Después de horas de tortura, el Señor del universo entrega su espíritu. Un terremoto sacude la escena, y el grueso velo del templo se rasga por la mitad. Los sepulcros se abren, y cuerpos resucitados caminan por la ciudad (Mateo 27:51-53). Ante semejantes sucesos, el centurión exclamó: «Verdaderamente éste era Hijo de Dios» (v. 54). Respecto al poema de Watts, la Fundación Poetry afirma: «La cruz reordena todos los valores y anula todas las vanidades». La única manera en que podía concluir este himno es: «Y qué podré yo darte a ti / A cambio de tan grande don. / Es todo pobre, todo ruin / Toma, oh Señor, mi corazón». Señor, te entrego hoy mi vida entera. Es nuestro privilegio darle todo lo que tenemos a Aquel que nos dio todo en la cruz. Dem jungen Isaac Watts gefiel die Musik in seiner Gemeinde nicht. Sein Vater forderte ihn auf, doch etwas Besseres zu schaffen. Isaac tat es. Sein Lied „Schau ich zu deinem Kreuze hin“ gilt als der bekannteste englische Choral und wurde in viele andere Sprachen übersetzt. In seiner dritten Strophe führt er uns direkt hin zu Christus am Kreuz. dem kommt sein Kreuzesschmerz zugut. Die Kreuzigung, die Watts so gekonnt beschreibt, war der schrecklichste Augenblick der Weltgeschichte. Gottes Sohn ringt nach Atem. Nägel, die durch sein Fleisch getrieben wurden, halten ihn fest. Nach Stunden der Qual wird es plötzlich finster. Schließlich haucht der Herr der Welt sein Leben aus. Ein Erdbeben erschüttert die Gegend. Im Tempel in der Stadt reißt der dicke Vorhang. Gräber öffnen sich und Tote stehen auf und laufen durch die Stadt (Matth. 27,51-53). Die Ereignisse entringen dem Hauptmann, der Jesus kreuzigte, die Worte: „Wahrlich, dieser ist Gottes Sohn gewesen!“ (V.54). Wir dürfen alles, was wir haben, dem Einen geben, der am Kreuz alles für uns gab. Jeune, Isaac Watts regrettait que la musique laisse à désirer dans son Église. Son père l’a alors mis au défi de faire mieux, et c’est précisément ce qu’Isaac a fait. Son cantique intitulé « When I survey the Wondrous Cross » (Je vois ta croix, ô mon Sauveur) est ainsi considéré comme le meilleur en langue anglaise et a été traduit en plusieurs langues. La crucifixion que Watts décrit avec une telle élégance marque un tournant dans l’Histoire. Nous aurions donc intérêt à nous arrêter au pied de la croix. Le Fils de Dieu est à bout de souffle et retenu au bois par d’horribles clous plantés dans sa chair. Torturé pendant des heures, il amorce sa descente surnaturelle dans les ténèbres. Puis le Seigneur de l’univers relâche enfin son esprit angoissé. Un tremblement de terre ébranle le paysage. En ville, l’épais rideau du Temple se déchire en deux. Des tombeaux s’ouvrent et des morts ressuscitent, marchant dans les rues (MT 27.51‑53). Ces événements poussent le centenier qui a crucifié Jésus à déclarer : « Assurément, cet homme était Fils de Dieu » (V. 54). Tout ce qui est vain et me charme, je le sacrifie à ton sang. Хліб Наш Насущній - Всього себе віддаю! Молодий Ісак Уоттс прийшов до висновку, що в його церкві дуже мало якісної музики. Батько Ісака закликав сина написати хороший твір – і юнак зробив. Гімн “Коли підводжу очі я на хрест” вважається найвеличнішим в англійській літературі. Він перекладений багатьма мовами світу. Автор уявляє, що він стоїть у підніжжя хреста. Безмірна мука і свята любов. В цьому вірші сцена розп’яття постає як найбільш жахливий і водночас величний момент в історії людства. Ви добре вчините, якщо зупинитесь і подивитесь на Страждальця. Ось Син Божий, руки Якого пробиті цвяхами, докладає великих зусиль, щоб вдихнути повітря… Нарешті Господь Всесвіту являє Свою милість до Нього – забирає Його стомлений дух. Відразу земля починає тремтіти від землетрусу, а у храмі навпіл розривається товста завіса. Відкриваються могили, тіла спочилих святих воскресають і прямують до міста (Мт. 27:51-53). Всі ці події змусили центуріона визнати: “Він був справді Син Божий!” (Мт. 27:54). “Хрест впорядковує всі цінності й скасовує всю марноту”, – було написано в одному коментарі на гімн Уоттса. Тому він і завершується словами: “Божа дивна любов потребує моєї душі, мого життя, мене всього”. Наш привілей – віддати все Тому, Хто віддав Себе Самого на хрест. Молодой Исаак Уоттс решил, что уровень музыкального служения в их церкви печально низок. Отец предложил ему написать что-нибудь получше. Уоттс так и сделал. Его гимн «Когда взираю я на крест» называли величайшим из написанных на английском языке. Он был переведен на множество других языков. Автор представляет себя стоящим у подножия креста с распятым Спасителем. Когда я поднимаю взор На крест, где Божий Сын страдал. Я сознаю греха позор, Стыжусь того, что почитал. Распятие Христа, столь живописно переданное Уоттсом, стало жутчайшим событием в истории. Давайте замедлим ход и подойдем ко кресту. Божий Сын тянется за глотком воздуха, прибитый толстыми гвоздями к страшному дереву. После нескольких мучительных часов на землю спустилась сверхъестественная тьма. Наконец Господь вселенной испустил истомившийся дух. Землетрясение поколебало гору. Толстая завеса в храме разодралась посередине. Могилы открылись, и мертвые воскресли, войдя затем в город (Мф. 27:51-53). Эти события побудили сотника, руководившего распятием, сказать: «Воистину Он был Сын Божий» (Мф. 27:54). «Крест смещает все ценности и упраздняет суету», – говорится в комментарии к стихам Уоттса. Такой гимн мог закончиться лишь следующим образом: «За эту милость и любовь отдам без слова все, что есть». Наивысшая честь – отдать все Тому, Кто отдал Себя на крест.